Whether you’re a real estate professional or a home owner thinking about putting your house up on the market, you’re probably thinking about how you can make a home more attractive to potential buyers. Repairs, staging, and photos are likely to be at the top of your list, but there’s one powerful tool that you may not be thinking of: a home warranty service contract. Home warranty contracts are an excellent tool for home sales. They make homes more likely to sell faster for more money, attract buyers, and even offer protection for the seller (and the professional reputation of real estate agents). Read on to learn more about what a home warranty service contract can do for you if you have a home sale on the horizon. There’s no question that home warranties give sellers an advantage in the home market. Buyers love it when home warranty service contracts are included in the sale price of a home. Buyers often borrow heavily and clear out much (or all) of their savings to purchase and furnish a home, so they may not want to spend the few extra hundred dollars to get a home warranty service contract. But that’s not to say they don’t want one: buyers don’t want to have to worry about spending thousands of dollars in costly repairs in the first year of owning a home, either. Research shows that homes with an existing home warranty will sell for an average of $2,300 more and 16 percent faster than homes without home warranties. That means home warranties are able to drive sales, getting homes off the market faster and with higher sales profits. Home warranties are particularly attractive to first time home buyers, who are often used to the convenience of calling on a landlord for repairs renting. A home warranty can attract these buyers and ease their fears of dealing with major home repairs in their first year of home ownership. Seasoned home owners may also be relieved to find a home with an existing home warranty as well, especially if they’ve grown weary of making their own home repairs. With a home warranty, homes are given a competitive edge that sets them apart from other similar homes on the market. Warrantied homes are simply more attractive than ones without coverage, especially if other major factors like neighborhood, price, and condition are more or less equal. An existing home warranty suggests that major home systems and appliances are kept in good repair and that the current owners care for their home. This can offer confidence to buyers who might otherwise be interested in another home. A home warranty is especially helpful for selling older and even historical homes. As long as covered appliances and systems are in good working order when the home warranty contract takes effect, Choice Home Warranty accepts homes and systems for coverage regardless of age. Buyers who are worried about the potential for failure in older home systems will be reassured by the guarantee that their home warranty will handle any surprises that pop up. They’ll be more likely to take a chance on an older home or one with outdated appliances or systems. Home warranties help existing homes compete with new ones. While new construction is warrantied by the home builder, existing homes don’t home with the same protection. With a home warranty, buyers will be able to enjoy the same reassurance that problems will be taken care of, just as if they’d purchased a new home. If you’re in negotiations, but don’t have a home warranty plan in place yet, offering one can certainly help smooth the deal over. A buyer concerned with older appliances and systems or repairs revealed by the home inspection may ask for a drop in price. But if a home warranty is offered, that same buyer may be reassured — and it only costs a few hundred dollars to offer it, not thousands of dollars in negotiations or worse, a lost deal. Home warranties protect against expensive surprises. With a home warranty in place before, during, and after the sale of the home, there are no uncomfortable situations if a problem requiring repair arises. All parties can continue to concentrate on the sale without hiccups, as the home warranty company will take care of repairs. This saves time, money, and especially frustration. An air conditioning unit that goes out during negotiations have already been completed can throw a wrench into an otherwise smooth real estate deal. But with a home warranty service contract, there’s no question who is taking care of it and the deal can go on. This can offer relief to buyers and sellers alike while protecting the professional reputation of real estate agents. 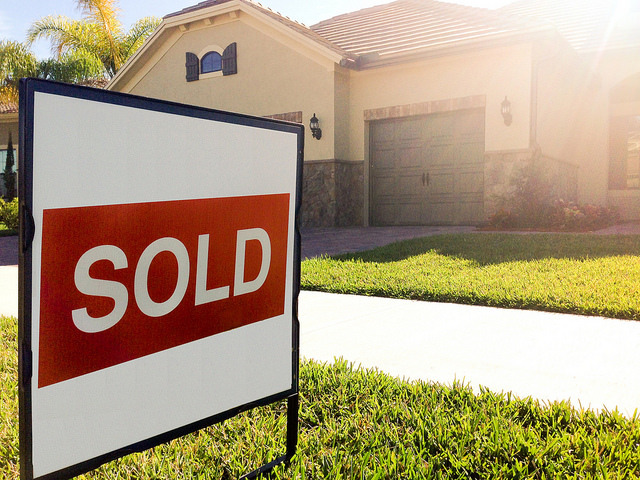 Home warranties can also support sellers long after the sale is complete with protection against post sale disputes. Sellers are required by law to disclose everything that is wrong with the home prior to completing the sale, and any issues that might pop up during the first year could come back to haunt the seller if the buyer pursues legal action. Agents may also experience difficulty with this situation. But with a home warranty, buyers can simply turn to their service contract to handle repairs that might otherwise cause trouble.